You are three years old. How can that be? I swear it was only a little while ago I was holding you in my arms for the very first time but that was three years ago! My wonderful, intelligent and beautiful Darcie you've grown into such a special little person and I could not be prouder of the person you're becoming. Everyday with you is a gift, you bring so much joy to those around you. How did we get so lucky? 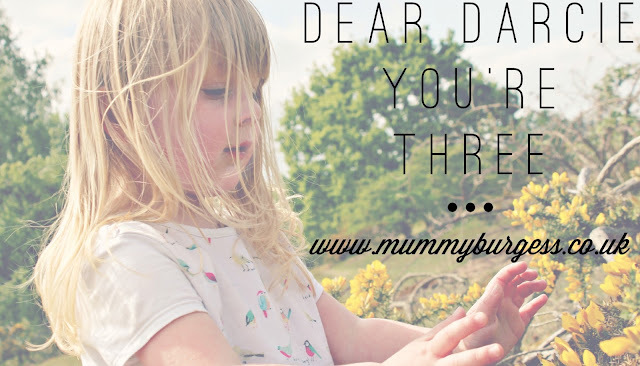 Over the past couple of months you have done an awful lot of growing, you're soon to become a big sister and you have taken this role on very seriously! 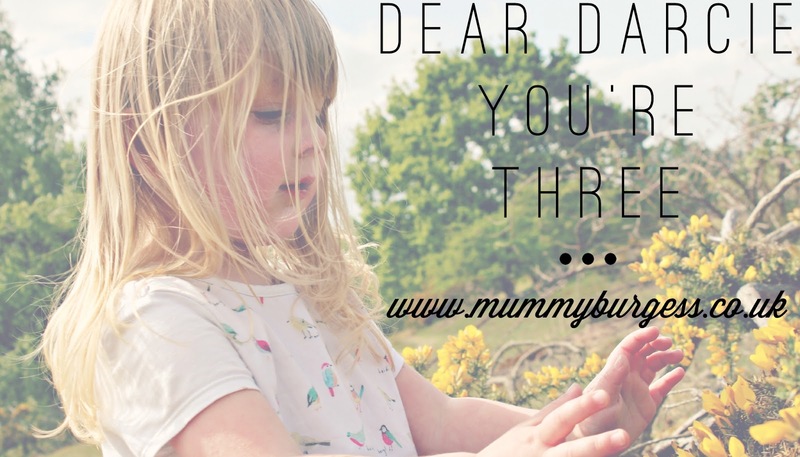 You have a natural mothering instinct (more so than me!) and I know that you will make us even prouder in your new role. Thanks for looking after me too, you're such a star! Being the social butterfly that you are you have surrounded yourself with lots of people you call friends - you make us very proud in the way you interact and care for your friends but this again shows your sensitive and caring side. This time next year you will be almost ready to embark on a new adventure, school, and I'm hoping you will embrace the change (like you always do) and enjoy all the new experiences to come. Plus you will get to see what kind of work mummy does! But for now my little one, just enjoy being three. Continue to grow, learn, love and laugh throughout the next year (and all the years to come), but please... make this year go a little slower? Time is passing us by so quickly, before I know it you will be a teen!! Love you Darcie, enjoy your special day.